You can never have enough whimsical elves around during the holidays. 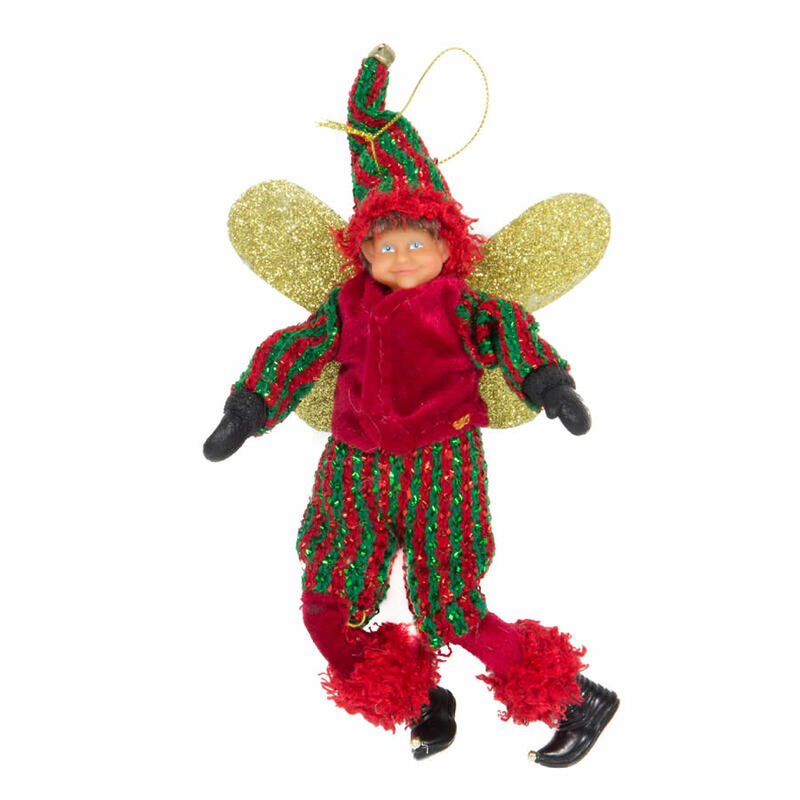 This fine Elf with wings is an example of the simple pleasures that Christmas brings, and undermines the notion that you have to spend a lot of money to create an alluring holiday decor. Each friendly little elf measures around 8cm wide by 11cm in height, and will fit nicely on a tree, a wreath, or a wrapped package when you want to add a charming whimsy to the elements of the season. This special little guy wears a cheery and merry ensemble in bright shades of red and green, with plenty of gold accents- including the sparkling wings! Give this little elf to anyone that you want to share some holiday spirit without spending a fortune this season!